If that's all there is, that's pretty thin gruel. Not like the PowerPoints for the larger sensors at all. But then again, they have to be sold to camera manufacturers, at least for now. On the other hand, the same source was right about the A6500, A9 and lens releases, and has apparently been corroborated by two other sources. I don't think SAR has ever been wrong with 'SR5' rumour before - even with lens announcements that sounded more outlandish - and it was mentioned that the only reason this wasn't SR5 was due to the possibility at that stage of specific details being changed beforr a final announcement. It wouldn't surprise me if the 'source' was Sony itself - not yet ready to make a product announcement (even a detail-free, Nikon-style 'It's coming' announcement, as for the D850, requires a product name - is it A7r3 or A9r? ), but wanting to get it out there that they had a product in the pipeline, for potential switchers to wait rather than buy the next thing Canon or Nikon release. For sure there is going to be a Sony camera with higher mp count, after all, they made a big fuss on how their GM lenses were designed to cater for 100 mp sensors. My only doubt is in which line of camera they will deploy this first, A7 or A9? No mechanical vibration using LiveView for still images. Focus-Stacking: Focus-adjusting system, max of 300 layers, customized release (0 to 30 sec), customizable 10 steps). This camera is looking better and better. It looks like it was designed per your own personnal specs Michael. Yep, provided it all works like they paint it. That 64 ISO has to be as good as the D810 or better. Since I am lens oriented, I may be very glad I waited for this camera. The D850 really looks like the last DSLR anyone would ever need prior to a full transition to mirrorless when all the technological building blocks will really be ready for uncompromised photography. Thanks to Nikon for continuying to push the bar forward. A close friend not really interested in photography till date asked me advise yesterday about what high end camera he should be buying. He started by asking me about D500/D750, I pushed him towards the a7rIIi... he tried it and his comments were... what a terrible viewfinder, what a poor UI. It reminded me of all the compromises mirrorless shooters have been accepting with the current generation of bodies. Have you tried the A9 yet? All those issues are fixed, and the viewfinder is more functional than I've seen in any SLR. The only reason I don't own one is because 24MP isn't nearly enough for my needs. No need to try to convince me, I am just reporting a totally unbiased feedback from someone who has zero pre-existing brand or technology preference. Granted, he tried that a7rII but the a9 is too expensive for him. To your question, I have myself not tried the a9 yet either. I am personnally not interested since it is overall IMHO mostly a downgrade from my D5 for my action photography needs centered about AF performance on moving subjects with pro grade tele lenses. I may have added one to my line up had it been more affordable, but not at its current price point. I have much better ways to spend 5,000 US$ + lenses cost, starting with my new packraft. Perhaps a very real remaining worry is that the dynamic range of the D850 will not match the D810, which puts those of us into landscape and nature photos in a bind. Any thoughts on this? Hard to tell. The fact that they kept an ISO64 makes me think they understand that many photographers value the D810 thanks to its class defining base ISO image quality. Nikon has very rarely been unable to achieve technically what their mgt defines as needed specs. I would bet that the DR at base ISO will be excellent, but only measurment will tell. Definitely a downgrade for most action photography - but that's due to the lens lineup rather than the body. I'd say the body itself represents a modest upgrade from the D5 - similar AF tracking capabilities (I couldn't tell them apart when using them - both tracked more-or-less perfectly), the addition of the very-useful eye AF and a few more megapixels. It probably gives up some durability (the D5 is built like a tank) but weighs half as much and has fewer mechanical parts that can fail in the first place. It has near-identical performance at high ISO (better at some levels, worse at others); it has better low-ISO DR, but that is of little consequence for action photography. I never expected the A9 to be that good - I expected 5D3- or 5D4-level AF performance, with mirrorless only catching up to the dedicated action cameras in the next iteration. But Sony outdid themselves with advances in mirrorless AF technology (and, equally, with EVF performance). But, with no long, fast lenses - 400 f/2.8, 500 f/4, 200-400 f/4, etc. - it's currently more-or-less unusable for serious wildlife or field sports. The only option is the newly-released 100-400, which, while looking great as a general telephoto lens for landscape and other use, and suitable for the occasional animal or sports shot, is neither long nor fast enough for dedicated wildlife or field sports use. So, for now, the 1Dx2, D5, D500 and possibly 5D4 and 5Ds (if you need pixel density more than frame rate and ultimate AF performance) are your only real choices for sports and wildlife. This is changing - a 400 f/2.8 or 400 f/4 is supposed to be coming at the end of the year - but, until then, the A9 is relegated to event, wedding and photojournalism roles, which it does very well (better than the 5D3/5D4 and D750, which previously owned this sector - eye AF and real exposure simulation via the EVF make a big difference here). If the D850 delivers AF-wise and keeps up with the current action bodies in the ISO 3200-12800 range, it will likely blow all of them out of the water as an action camera, becoming the preferred model unless you absolutely need 14fps (vs 9fps) or live at ISO 25600 and above. Only until someone develops a Nikon-to-Sony adapter that works well with all Nikon lenses. Then it'd be just like what many Canon shooters have been doing for years - use an ultra-high-resolution, high-DR Sony body for nonmoving subjects, while keeping the D850 for moving subjects (and as a second body for landscapes), using the Nikon lenses on both bodies. It's not like you need AF when shooting landscapes, so carrying a D850 along with an A7r3 or A9r would be no more difficult than carrying a D850 with a backup Nikon body. It's not an ideal solution, but it's very workable. Even if the D850 keeps up DR-wise, this may end up being a good option for dedicated landscape photographers who want a camera with the greatest possible resolution on a full-frame camera, as well as the use of a few UWAs and tilt-shifts that can't be put onto a Nikon camera. Future will tell, my view remains that Nikon will release a body above the D850 for higher res applcations. As far as T/S lenses go, the current reference is the Nikon 19mm. A single 19mm lens won't get you very far. It fills pretty much the same role as Canon's 17mm. But Nikon's 24mm tilt-shift doesn't hold a candle to Canon's, and 24mm is likely a far more used focal length (either for single frames or for shift-stitching). And Canon looks set to release new 50mm, 90mm and 135mm tilt-shifts in the next few months. Given that whose top-tier lens in any given category is sharper tends to correlate strongly with which one is newer, these new lenses should be very sharp indeed. Actually... the Nikon 24mm T/S is sharper than the Canon 24mm in the center and with the typical amount of modrate tilt used for landscape work. Where it falls short is with large amounts of shift. It is an excellent landscape lens but not a very good architecture one. The lens is old and is likely to be replaced soon. Based on the 19mm level of performance I am not worried. The other Nikon T/S (45mm and 85mm) are excellent and totally comparable to the current generation of Canon T/S but also due for a replacement. I would expect the rumored Canon new T/S to be excellent indeed. 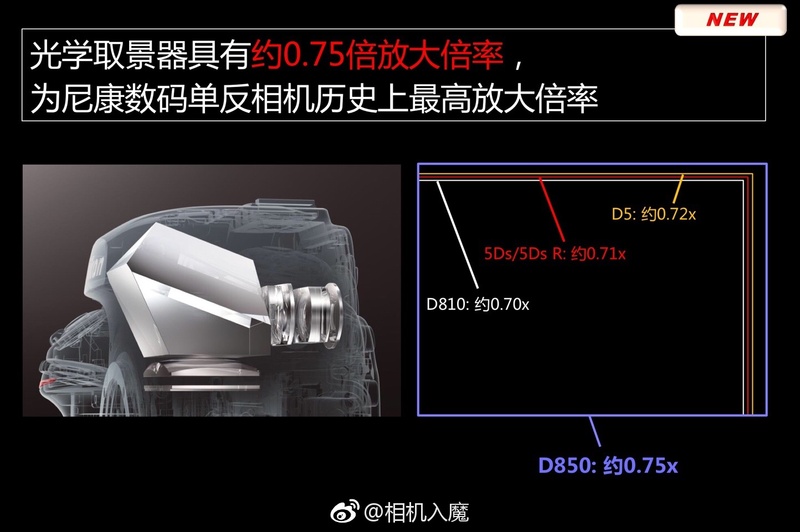 I will not speculate about the dynamic range of the D850 this way... for starters the D500 sensor is an ASP-C sensor... just for being smaller has less dynamic range, and then, it is a sensor optimized for speed. If Nikon is still making D850 base ISO 64 it is more optimized for DR.
Michael, my theory it is that the D850 will use at least the same technology as de A7r II an BSI CMOS, that collects more light and has lower noise than the previous technology used in the D810. A7r II has a close dynamic range as the D810 (in different analysis... ), I will be very surprise if the D850, if ISO 64 is true, does not have more DR than the D810.